The Peanut Marketing Order for the Florida Peanut Producers Association was established in 1975 for the purpose of promotion, research and education. The Association immediately began WORKING FOR PEANUTS. The Marketing Order also established the Peanut Advisory Council which is appointed by the commissioner of agriculture. To recommend to the Department of Agriculture administrative rules and regulations relating to the Marketing Order. To receive and report to the department complaints or violations of the Marketing Order. To recommend to the department any amendments to the Marketing Order. To advise the department in the collection and dissemination of information and date which the department may deem necessary. The original Peanut Marketing Order called for no more than $2.00 per ton check-off from the growers, with a clause allowing growers to get a refund on their check-off if they decided not to participate. In 1990 the Peanut Advisory Council voted for Florida Peanut Producers Association to put forth a referendum to it’s members to amend the Marketing Order to read: To increase check-off assessment to $3.00 per ton and this be mandatory with no refunds. The referendum was passed by more than 90% of the growers and was initiated for the 1990 crop. 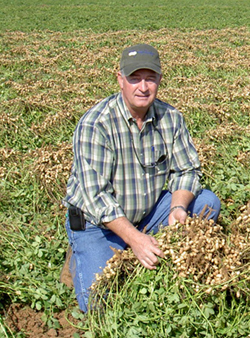 Florida Peanut Producers Association continues to work for and represent Florida’s peanut farmers in the areas of promotion, research and education.